Go against the grain when knitting the Vertical Drop Tee. Maggie Pace demonstrates intentionally dropped stitches worked from side to side with the purl side out! 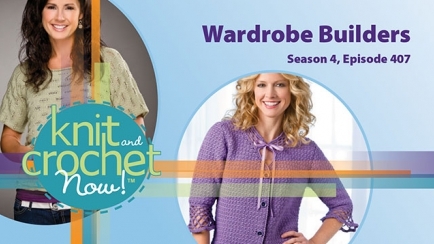 Robyn Chachula takes you through a classic crochet jacket. 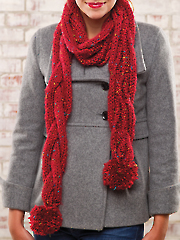 Brett Bara demonstrates chunky knit cables and pompoms for the Tweedy Braid Scarf. I just finished this sweater and it was fun to make, cannot wait to wear it. Thanks.